Established by Shri Bal Keshanandji Shiksha Prasar Samiti the Nagaji Institute of Pharmaceutical Sciences is a pleasant campus located in pollution and noise free area. The campus is offering a golden opportunity to people who love to complete their research and is offering a high standard of education in pharmaceutical Science. With a marvelous library, laboratory and the support of experts the college is able to provide an outstanding career to all the students. The management and its faculty are offering career counseling to the students with which every eligible student can get a desired position. 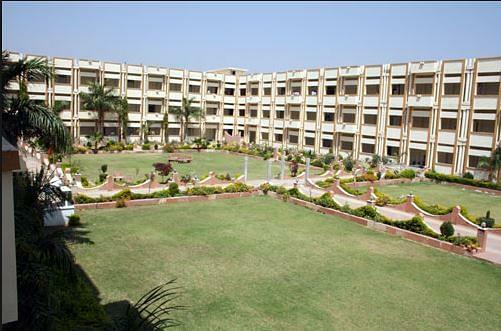 Airport: Gwalior Airport is at a distance of 18.6 kms far from the college and one can reach in a prepaid taxi. Railway station: Reaching the campus from the Birlanagar Railway Station will be easy as it is just 12 kms away. Bus Stand: Gwalior Bus Stand is 12.9 kms far from the college. One can easily gain access in a hired vehicle. Why to join Nagaji Institute of Pharmaceutical Science, Gwalior? Practical training: The College teaches students to learn the regular academics with a practical approach. Under the guidance of experts the management is training the students and making them excel in practical learning along with the regular academics. Facilities: The management owes various amenities starting from a well stocked library, spacious rooms, and hostel till various things that allow them to enjoy completing their course. Laboratory: The College facilitates every student with a well equipped lab where students can learn various things under the guidance of experts in the field. Scholarships: The College provides scholarships to eligible students, according to the norms.